Get latest version of Video to Picture Converter. What can MPEG to GIF converter do for you? The first thing to know what is mpeg to gif converter. 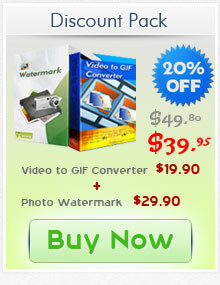 It’s a program for convert video to gif image, include still gif image and animated gif image. It help you capture some frames in video file, and save them to gif or other image format, to quick view, upload your website, upload to your mobile phone, iPod… MPEG to GIF Converter is a powerful tool to convert MPEG video file to animated GIF file and make some effects to the GIF file. It provides a built-in player that allows you to select the section as you view the clip. You can easily create high quality GIF animation files from your video clips, and support all popular video format,as Avi, Mpeg, Wmv, DivX, Rmvb etc. Please click the button to download MPEG to GIF Converter. How to convert MPEG (*.mpg) to GIF with Aoao Video to GIF Converter? Step1: Launch Video to GIF Converter, click "Load Video" button to load your movie file. This program support popular video formats for loading like avi, mp4, mpg, wmv ,mov, etc. In the playback window, you can play, pause, stop, backward, forward, click the "Camera" icon to capture a still gif, jpeg or other image formats. Step2: Adjust part of time for output gif image. You can drag the small "Bar" or manually type start time and end time, click "Start" and "End" button to apply. 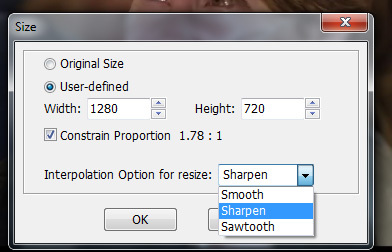 Step3: Choose a existing output size or manually type a size. 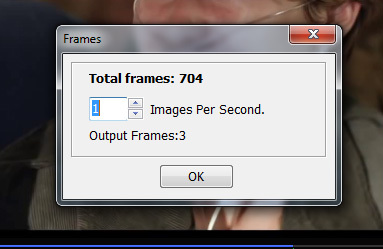 Step4: How many images per sec. setting. Step5: Click "Run" button to convert mpeg (*.mpg) to gif animation. 1. The unregistered version of Video to GIF Converter will put words "Unregistered verion" on output picture. 1. Free upgrades for lifetime. 2. Free technical support within 24 hours. 3. Get back lost license free. 4. 30-day money back guarantee. Copyright © 2008-2019 AoaoPhoto Digital Studio. All rights reserved.